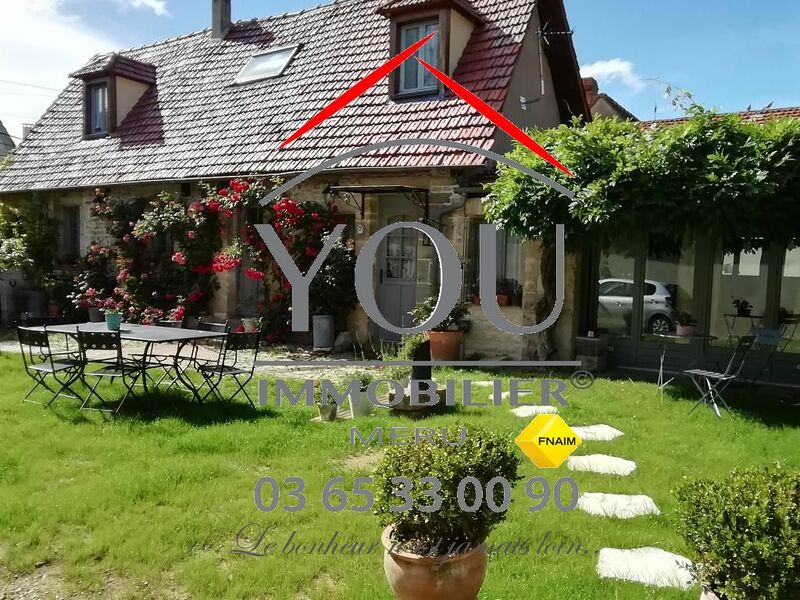 MAISON TRADITIONNELLE: CUISINE OUVERT SUR SEJOUR DOUBLE AVEC POELE A BOIS, 5 CHAMBRES DONT 3 EN REZ DE CHAUSSEE. GARAGE. TERRAIN DE 617 M². SES ATOUTS: VOLUME ET BON ETAT GENERAL. 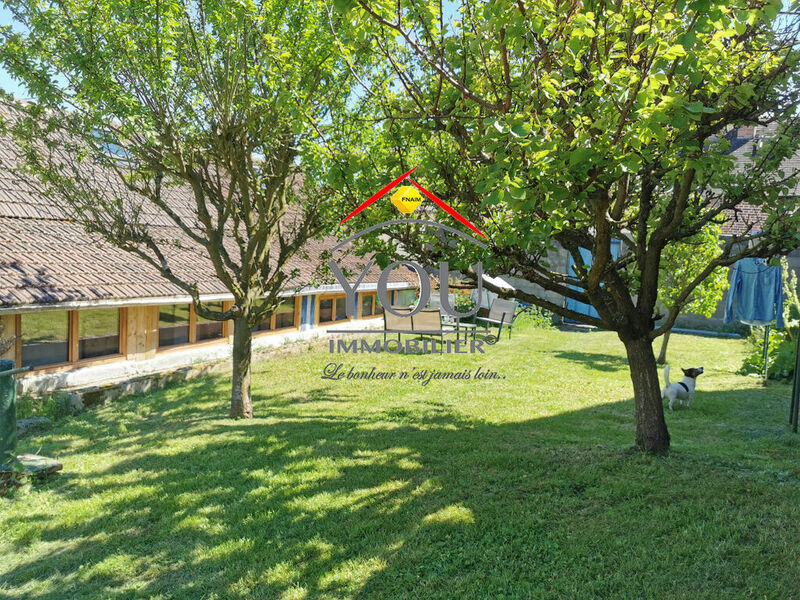 PAVILLON TRADITIONNEL SUR 1660M² DE TERRAIN CLOS ET PAYSAGE COMPRENANT 4 CHBRES DONT 1 EN RDC. GARAGE DOUBLE ET S/SOL. SES ATOUTS : PROCHES COMMERCES ET IMPECCABLE!! 10 MIN MERU. MAISON ANCIENNE AU FORT POTENTIEL: SÉJOUR DOUBLE, VASTE CUISINE, 3 CHAMBRES ET GRAND GRENIER EXPLOITABLE. VASTE DÉPENDANCE. 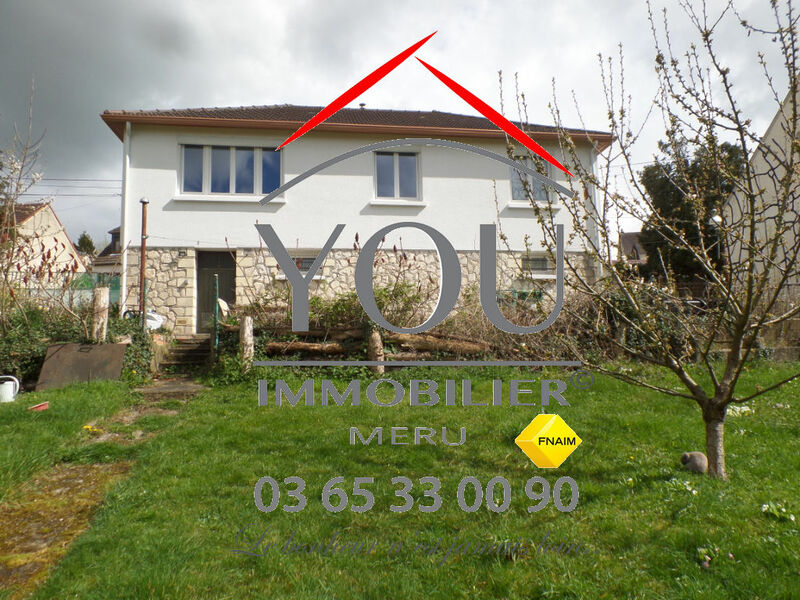 TERRAIN DE 1600 M². A VOIR EN EXCLUSIVITÉ CHEZ YOU ! SES ATOUTS: SON POTENTIEL ET SON CHARME FOU ! 10 MIN MERU. 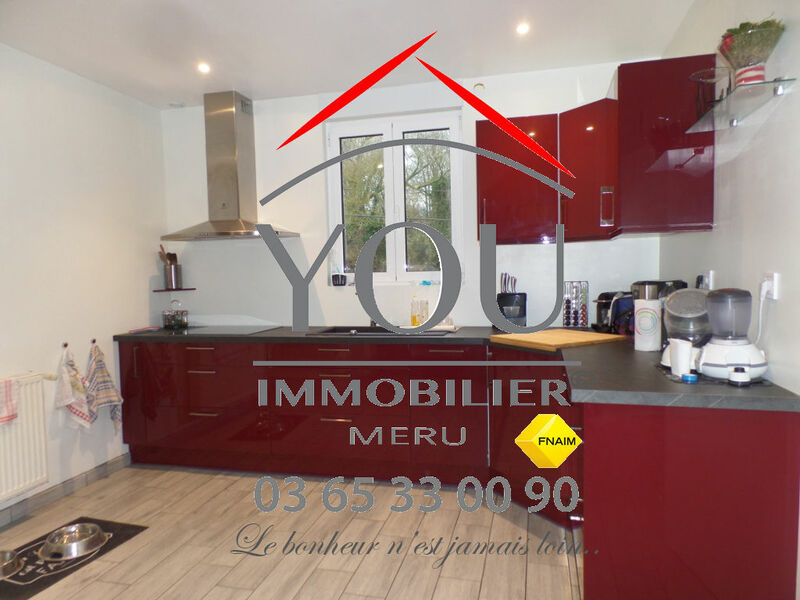 MAISON ANCIENNE FONCTIONNELLE: SEJOUR DOUBLE, CUISINE CONTEMPORAINE AMENAGEE, 2 CHAMBRES, SALLE DE BAINS. GARAGE. TERRAIN DE 490 M². SES ATOUTS: SON BON ETAT GÉNÉRAL, SON ENVIRONNEMENT CHAMPÊTRE. 10 MIN NORD CHAMBLY. ECOLES ET COMMERCES SUR PLACE. MAISON TRADITIONNELLE RÉCENTE: SEJOUR DOUBLE, 4 CHAMBRES DONT 1 AU REZ DE CHAUSSEE. TERRAIN DE 500 M². BON RAPPORT QUALITÉ/PRIX. SES ATOUTS: SA LUMINOSITÉ ET SON VOLUME. 10 MIN NIORD CHAMBLY, COMMODITÉS ET ECOLES SUR PLACE. RAVISSANTE MAISON AVEC PIECE DE VIE SPACIEUSE, 2 CHAMBRES. 15 MIN PERSAN. GARE, ECOLES ET COMMERCES. MAISON TRADITIONNELLE ÉDIFIÉE SUR SOUS SOL TOTAL: SÉJOUR, CUISINE INDÉPENDANTE, 2 CHAMBRES. ATELIER, BUANDERIE ET PIÈCE EN SOUS SOL. 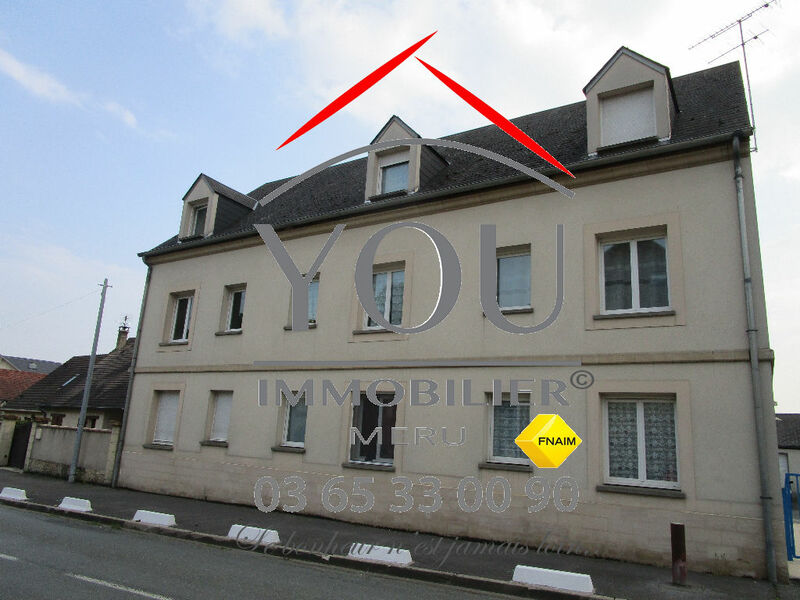 TERRAIN DE 976 M². SES ATOUTS: SA LOCALISATION ET SA VUE DÉGAGÉE. 10 MIN NORD MERU. MAISON TRADITIONNELLE: VASTE SÉJOUR AVEC CUISINE OUVERTE, 3 CHAMBRES DONT 1 AU REZ DE CHAUSSÉE, BUREAU, SALLE DE BAINS AVEC DOUCHE, POSS. SALLE D'EAU. GARAGE DOUBLE. TERRAIN DE 974 M². SES ATOUTS: SON VOLUME, SA FONCTIONNALITÉ. 15 MIN NORD PERSAN, GARE, ECOLES ET COMMERCES SUR PLACE. MAISON TRADITIONNELLE RÉCENTE: SÉJOUR, CUISINE AMÉNAGÉE RÉCENTE, 3 CHAMBRES. JARDIN BIEN ENTRETENU AVEC GRANDE TERRASSE. GARAGE. SES ATOUTS: SON ETAT IMPECCABLE, SA BELLE EXPOSITION. SECTEUR RECHERCHE. 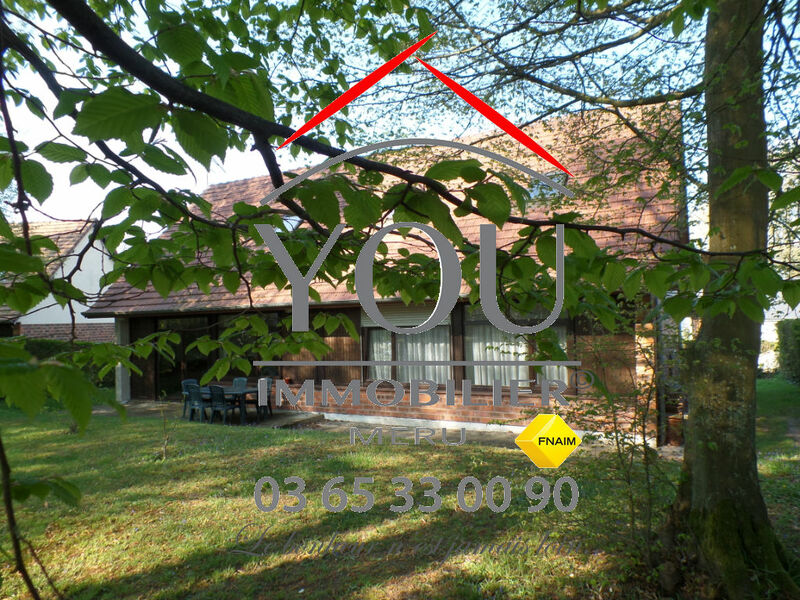 MAISON ÉDIFIÉE DE PLAIN-PIED: SÉJOUR DOUBLE AVEC JOLIE VUE SUR LE JARDIN, CUISINE INDÉPENDANTE, 3 CHAMBRES. 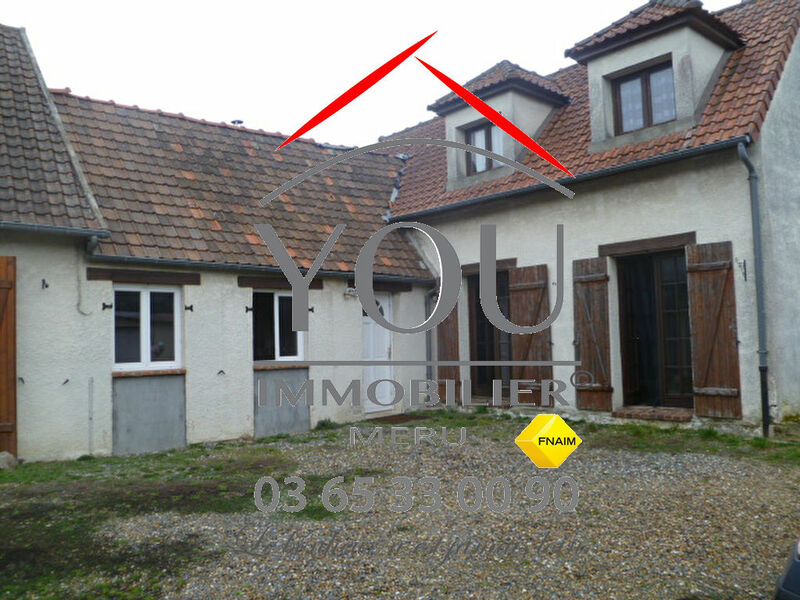 COMBLES AU-DESSUS. GARAGE. 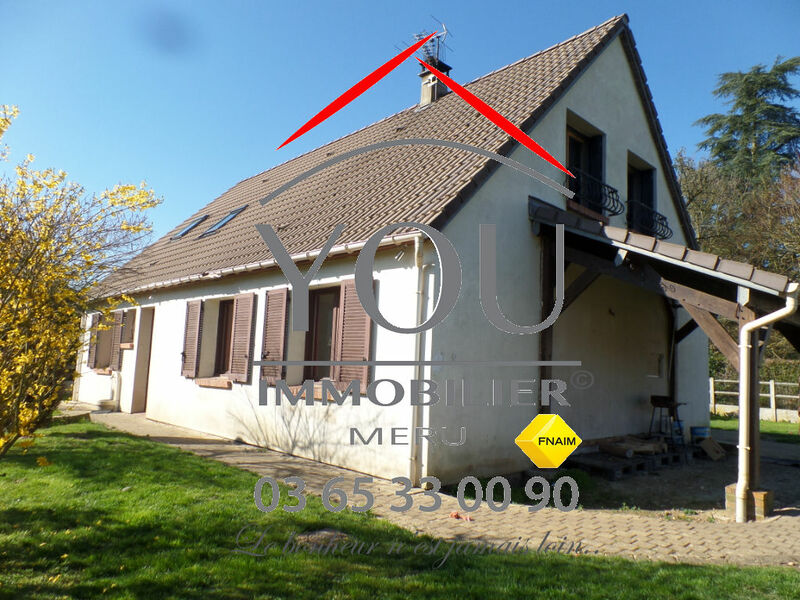 TERRAIN DE 820 M². SES ATOUTS: SA LUMINOSITÉ, SON TERRAIN ARBORE. 5 MIN CHAMBLY. MAISON DE CARACTÈRE DE 7 PIECES PRINCIPALES. SOUS SOL TOTAL. BEAUX VOLUMES, BEL ENVIRONNEMENT. Gare sur place pour cette maison de 4 pièces. Petit jardin d'agrément. Mieux qu'un appartement! DANS COPROPRIÉTÉ RÉCENTE, APPARTEMENT AVEC 3 CHAMBRES ET JARDINET PRIVATIF. GARAGE ET EMPLACEMENT DE PARKING. Charges mensuelles de 116 €. 15 MIN PERSAN. GARE, ECOLES ET COMMERCES SUR PLACE. CONSTRUCTION DE QUALITÉ: VASTE SÉJOUR AVEC CHEMINÉE INSERT, CUISINE ÉQUIPÉE, 5 CHAMBRES DONT UNE SUITE PARENTALE AVEC DRESSING ET SALLE DE BAINS, SALLE D'EAU. GARAGE DOUBLE. EXPOSITION PLEIN SUD ! 15 MIN PERSAN. GARE, COMMODITÉS SUR PLACE. 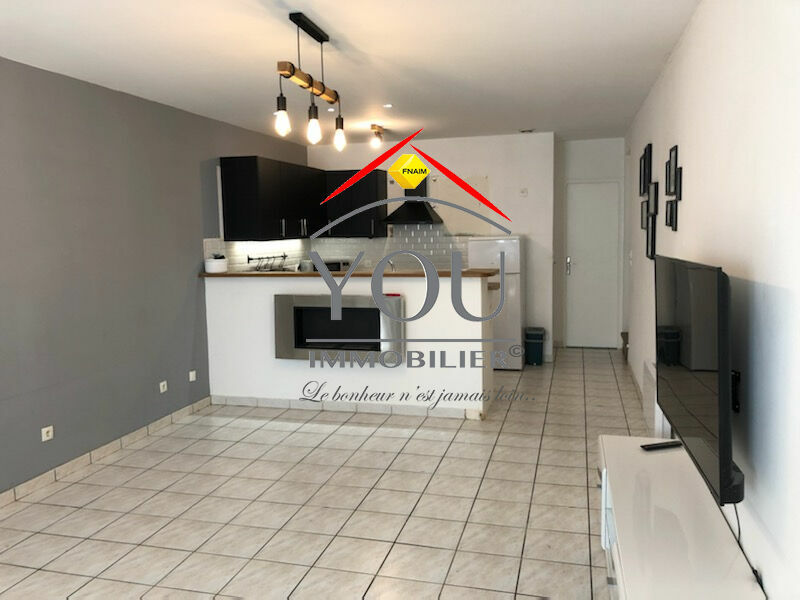 DANS COPROPRIÉTÉ, APPARTEMENT AVEC CUISINE, SÉJOUR, 1 CHAMBRE + BUREAU, SALLE DE BAINS AVEC WC. SES ATOUTS: SA LUMINOSITÉ ET SA SITUATION. COMMODITÉS ET GARE PROCHES. MAISON DE VILLE: CUISINE OUVERTE SUR SÉJOUR AVEC CHEMINÉE, 2 CHAMBRES, SALLE D'EAU. RAFRAÎCHISSEMENT A PRÉVOIR. SES ATOUTS: SON VOLUME ET SA COUR SANS VIS A VIS ! 15 MIN NORD PERSAN. GARE, ECOLES ET COMMERCES SUR PLACE. 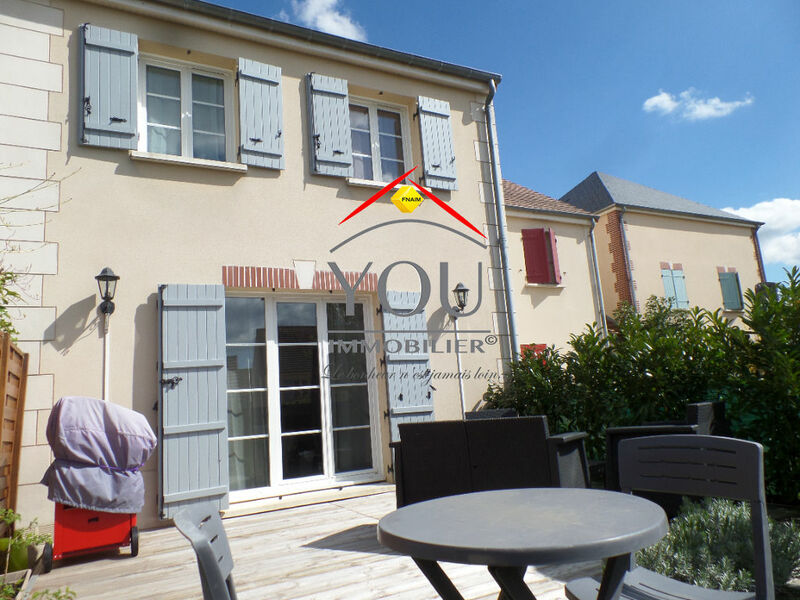 MAISON TRADITIONNELLE AVEC VASTE SÉJOUR ET 4 CHAMBRES DONT 2 SUITES PARENTALES. ENVIRONNEMENT PRIVILÉGIÉ, ETAT IRRÉPROCHABLE ! 10 MIN MERU. UN CHARME FOU POUR CETTE DEMEURE ANCIENNE RÉNOVÉE AVEC BEAUCOUP DE GOÛT. ELLE VOUS OFFRE 5 CHAMBRES DONT 1 AU REZ DE CHAUSSÉE, UNE CUISINE CONTEMPORAINE ET UN SÉJOUR SPACIEUX ET LUMINEUX. COUP DE C?UR A L'HORIZON ! PROCHE MERU. ENSEMBLE DE 2 HABITATIONS: L'HABITATION PRINCIPALE SE COMPOSE DE 7 PIÈCES, LA SECONDE RESTE A AMÉNAGER. FORT POTENTIEL, IDÉAL 2 FAMILLES ! MAISON EDIFIEE DE PLAIN-PIED: Entrée, séjour double avec cheminée insert, vaste cuisine aménagée, véranda, 3 chambres, salle de bains, wc. Dépendance. 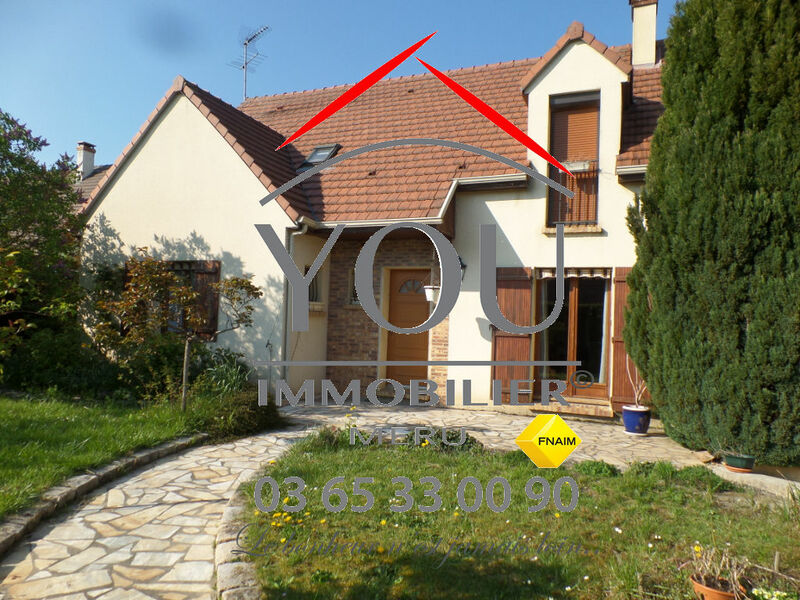 Terrain de 850 m². A SAISIR RAPIDEMENT !! MAISON TRADITIONNELLE DE 5 PIÈCES PRINCIPALES ÉDIFIÉE SUR SOUS SOL TOTAL. 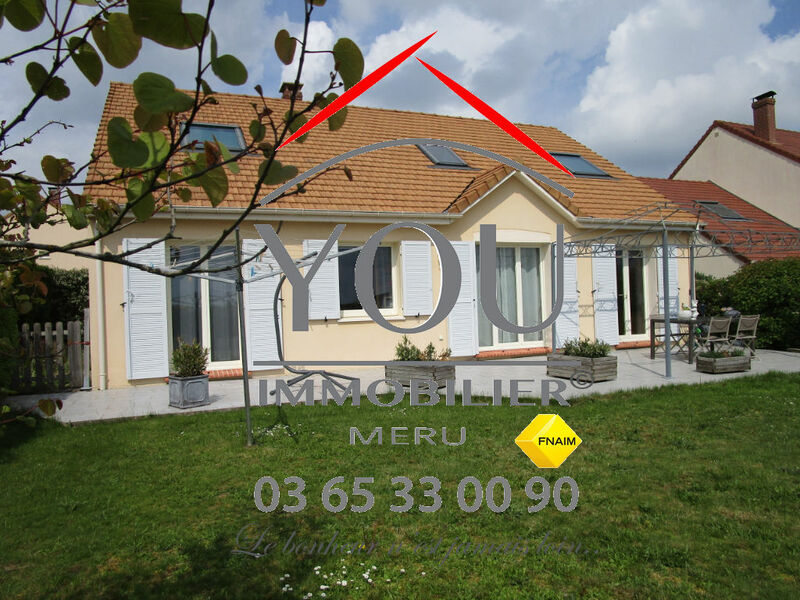 A VISITER DE TOUTE URGENCE AVEC YOU ! PROCHE MERU. 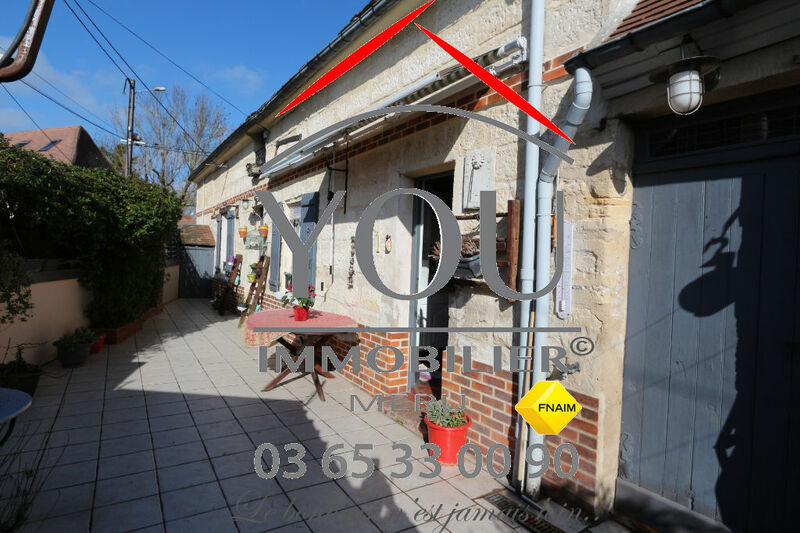 UN CHARME FOU POUR CETTE MAISON ANCIENNE DE 6 PIÈCES PRINCIPALES ! CAVE, POUTRES ET TOMETTES, LE COUP DE C?UR EST ASSURE ! 10 MIN NORD DE CHAMBLY. ECOLES ET COMMERCES A 2 PAS. LONGÈRE DE 7 PIÈCES PRINCIPALES ET VASTE GRENIER AU-DESSUS. GARAGE ET DÉPENDANCE. FORT POTENTIEL. BEAUCOUP DE CHARME ! PROCHE SAINTE GENEVIEVE. JOLIE LONGÈRE DE 8 PIÈCES PRINCIPALES AUX VOLUMES INTÉRESSANTS. VASTE TERRASSE COUVERTE. UN BIEN RARE SUR LE SECTEUR ! PROCHE GARE, DANS PETITE COPROPRIÉTÉ A FAIBLES CHARGES. BEL APPARTEMENT DE 4 PIÈCES PRINCIPALES + MEZZANINE / COUCHAGE D'APPOINT. 2 BOXES. ETAT IMPECCABLE, EXCELLENT RAPPORT QUALITÉ/PRIX ! A 10 MIN MERU, MAISON ANCIENNE ATYPIQUE EN GRANDE PARTIE RÉNOVÉE ET SA DÉPENDANCE AMÉNAGÉE. POUR LES AMOUREUX DE L'ANCIEN !